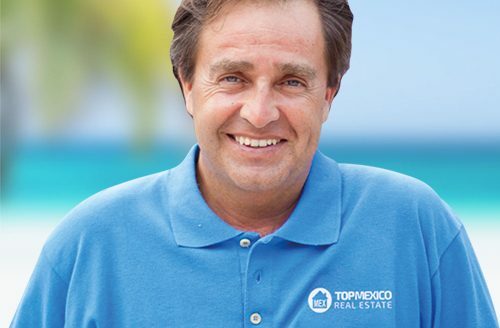 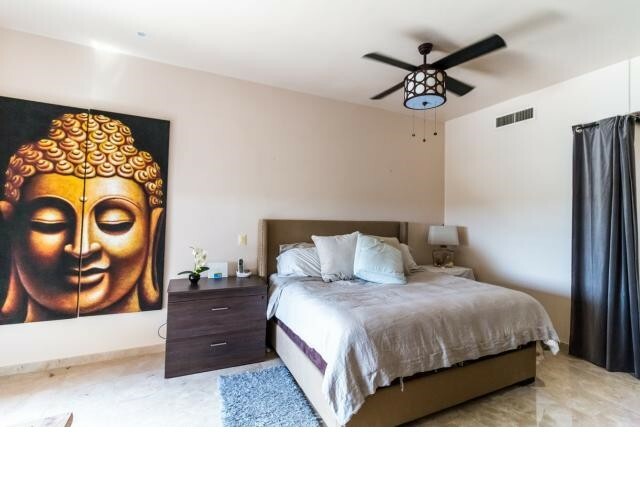 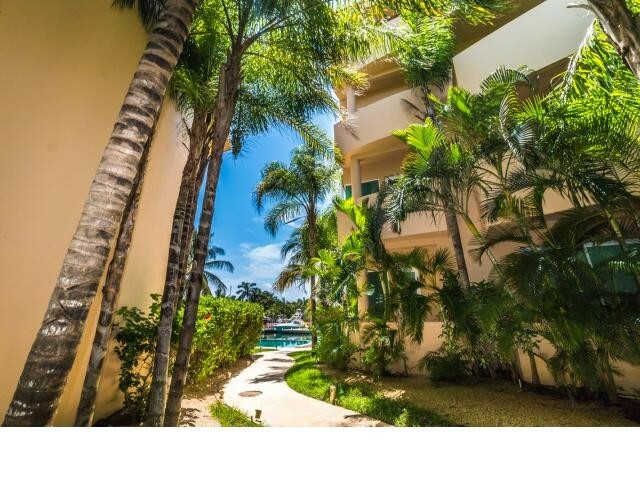 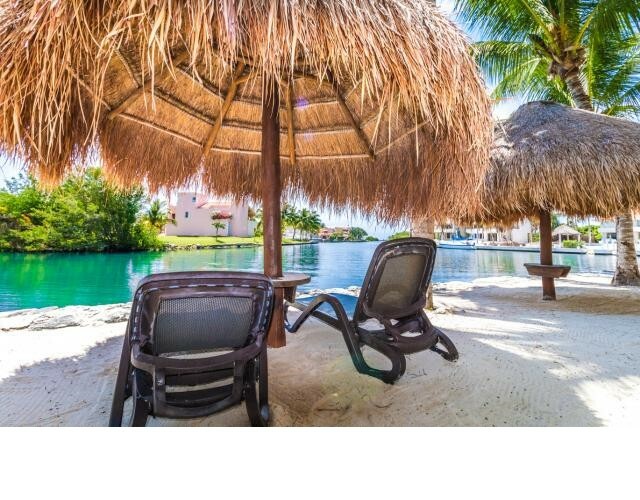 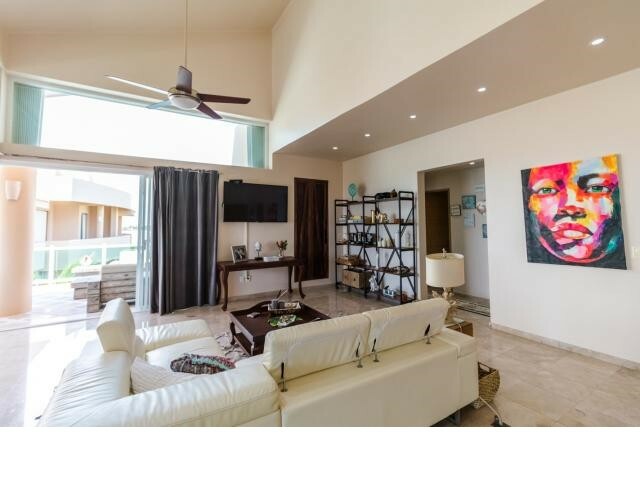 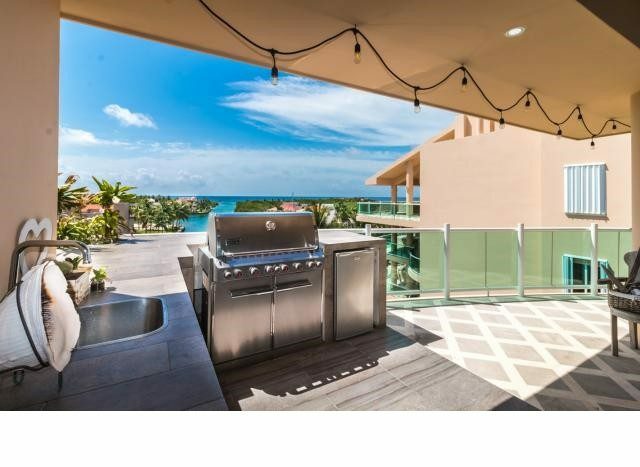 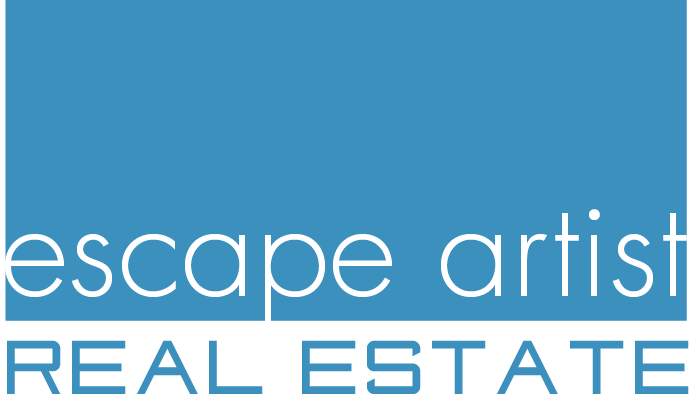 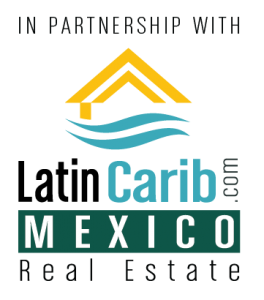 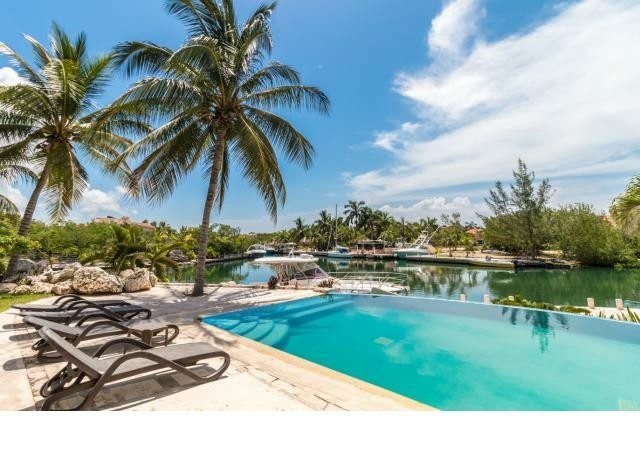 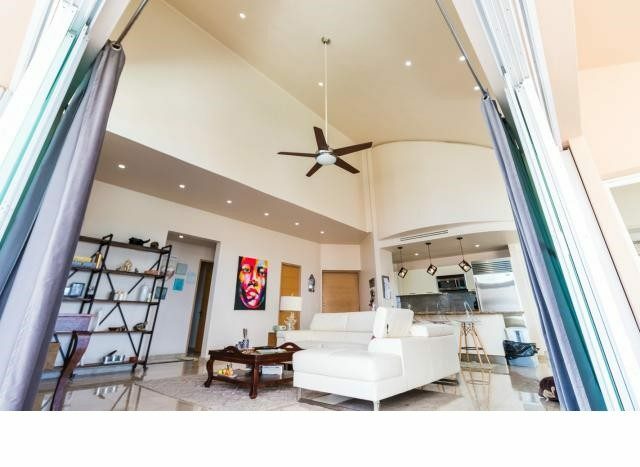 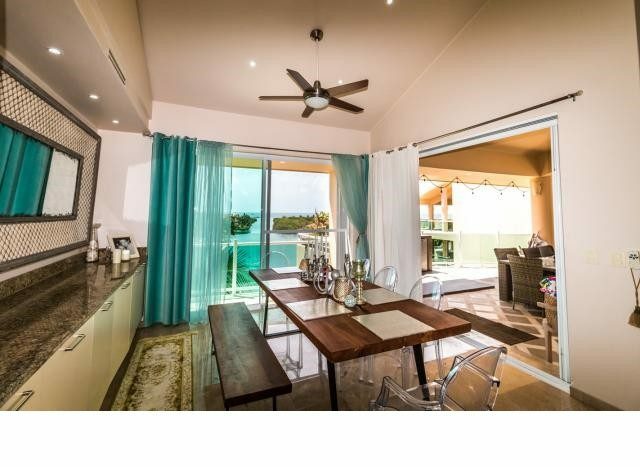 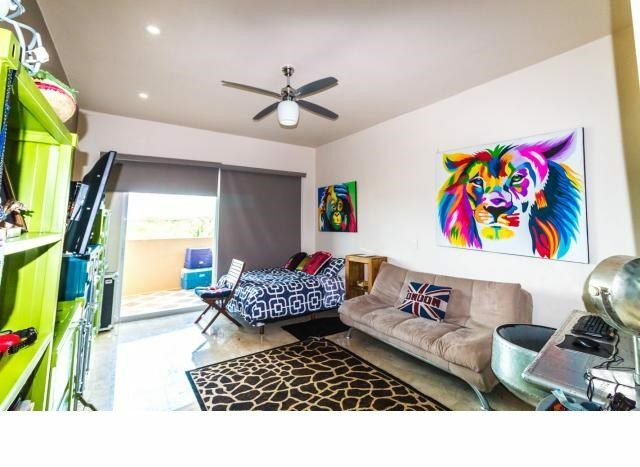 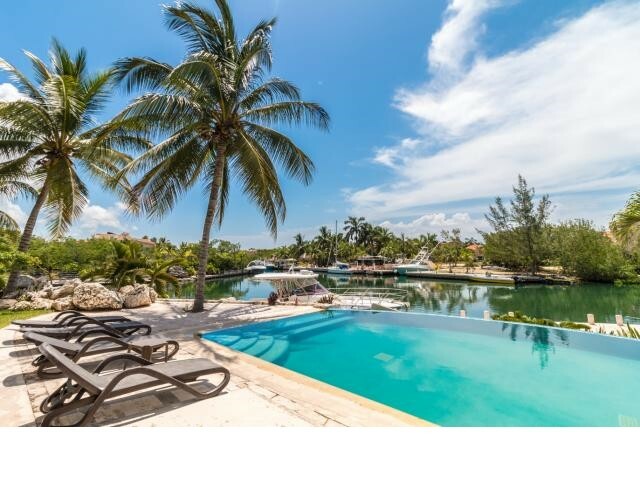 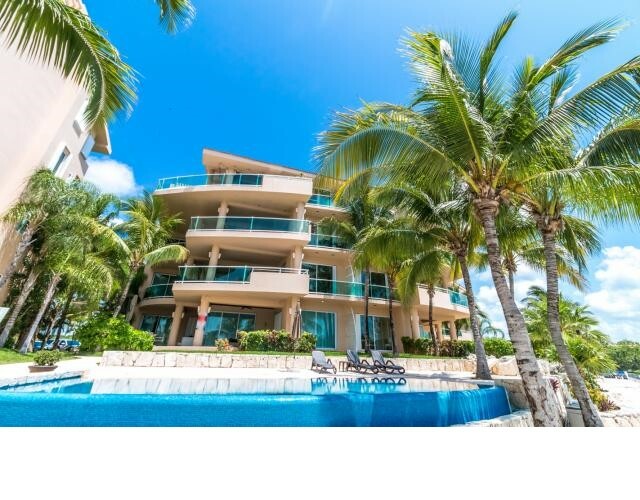 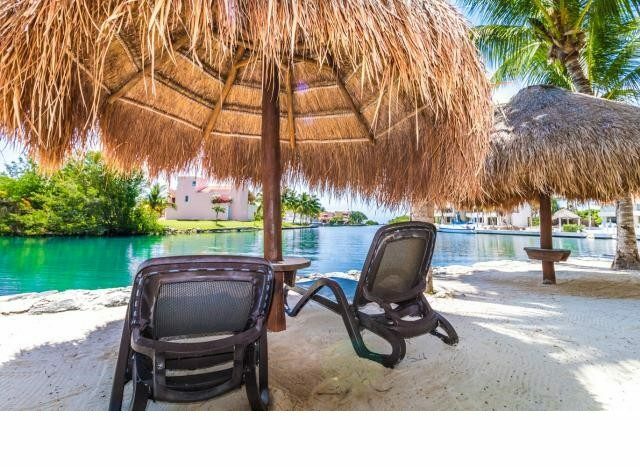 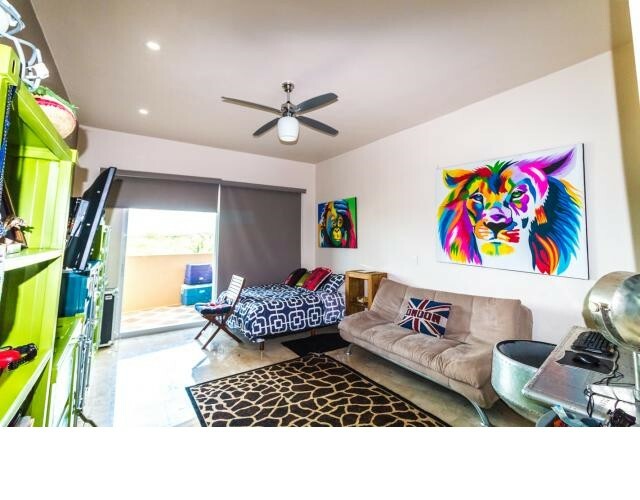 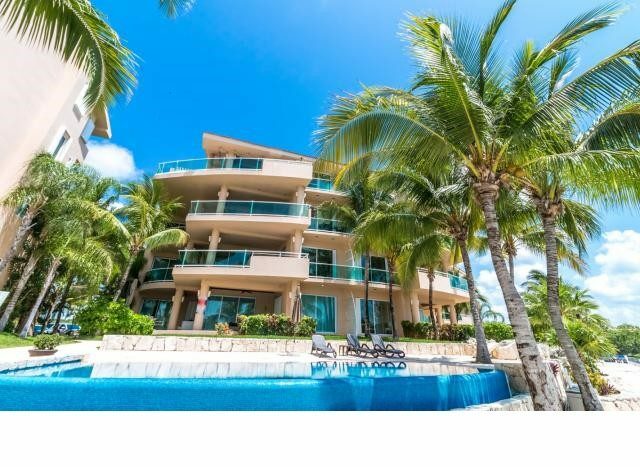 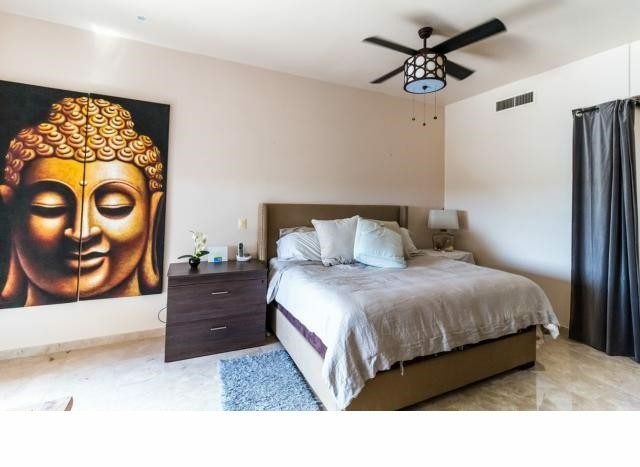 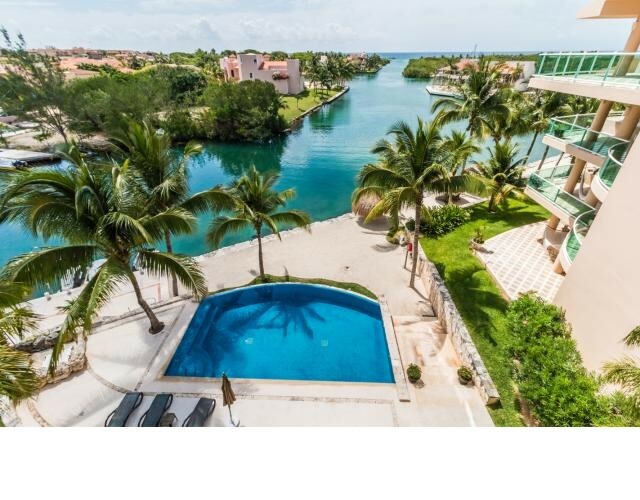 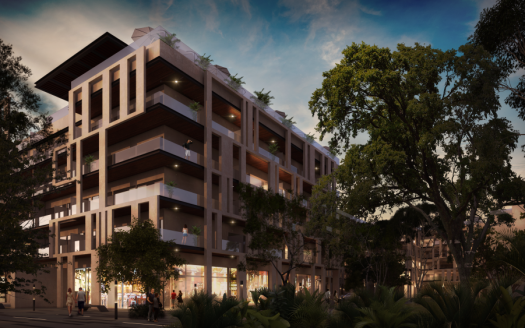 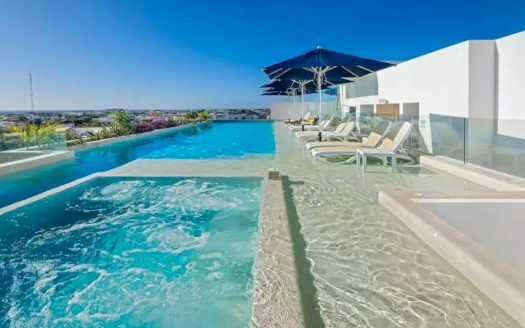 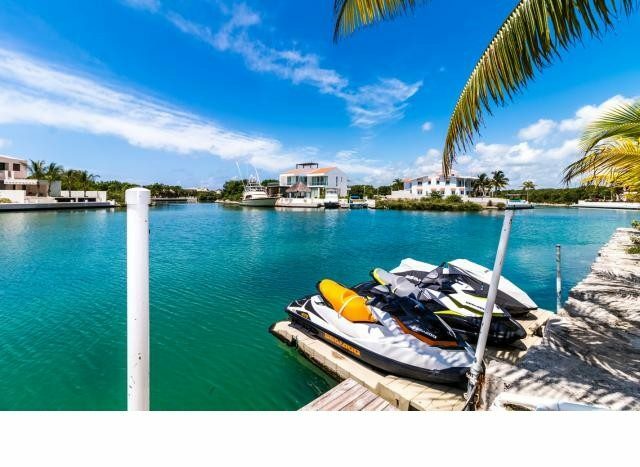 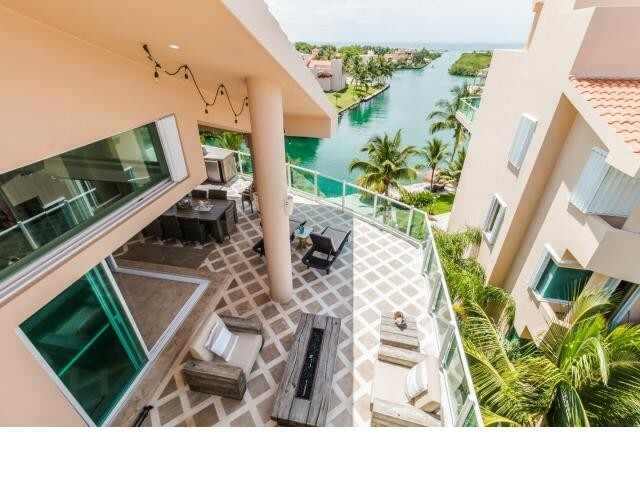 Beautiful Puerto Aventuras penthouse for sale with 3 bedrooms and 3.5 bathrooms located in the prestigious residential area of Puerto Aventuras. 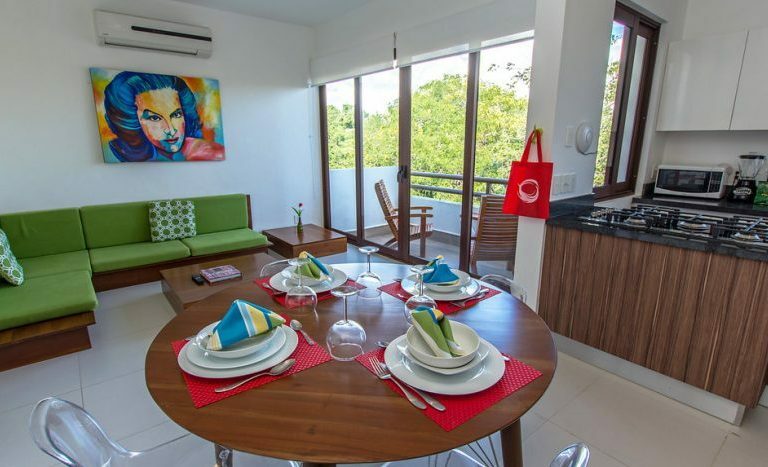 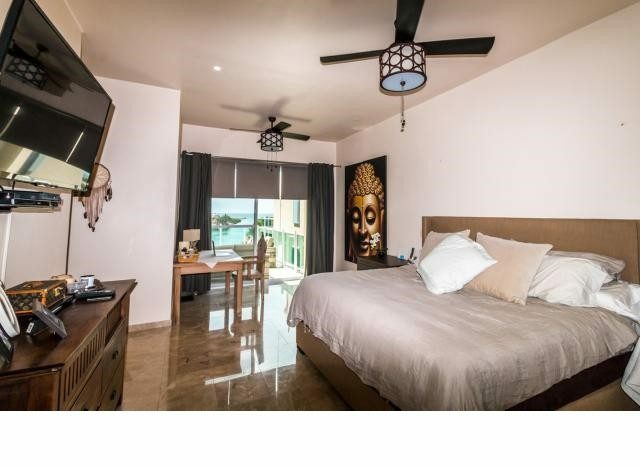 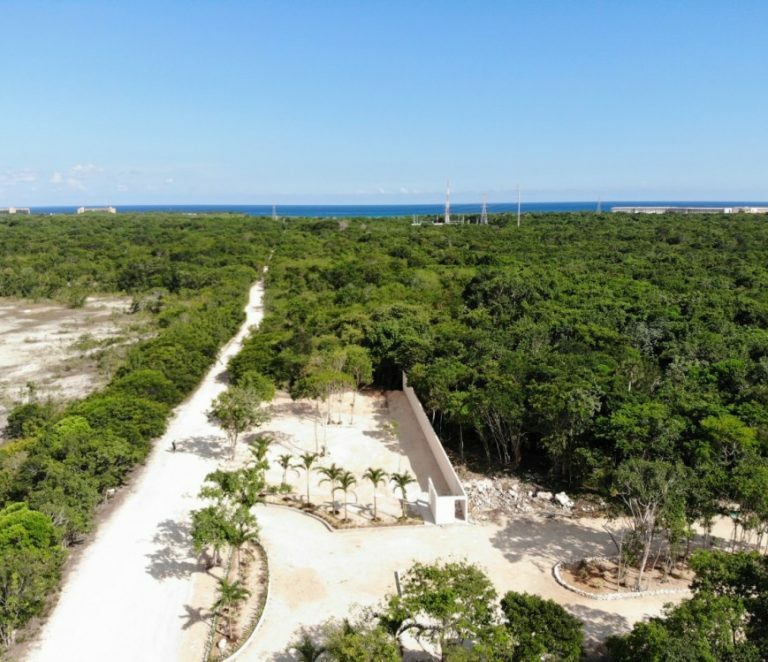 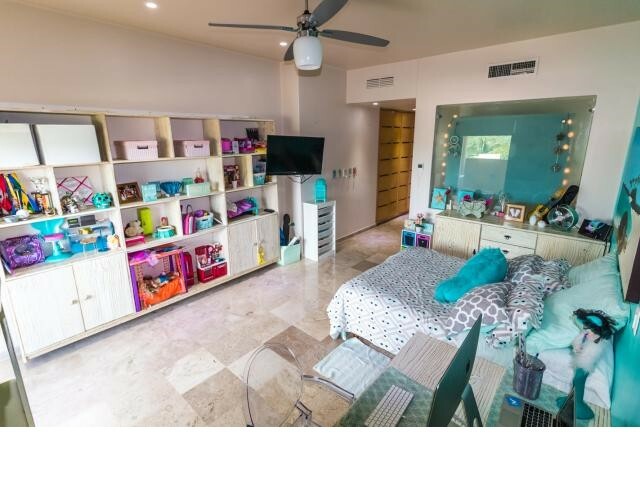 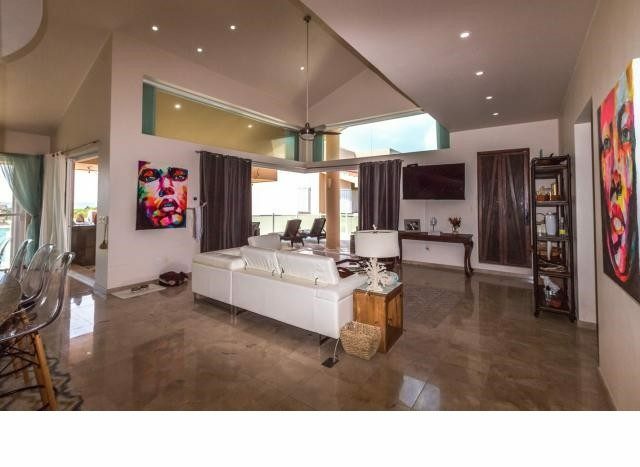 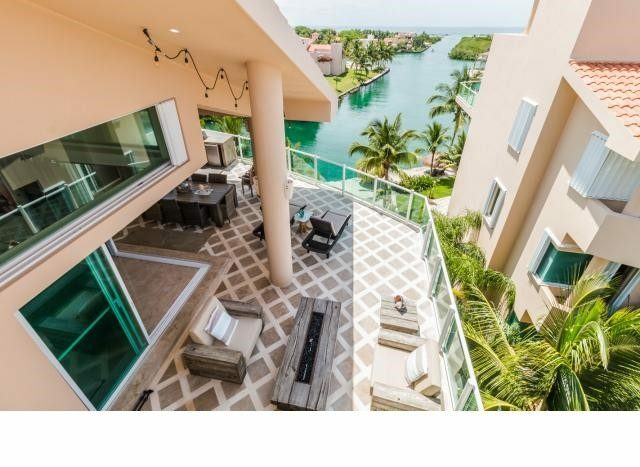 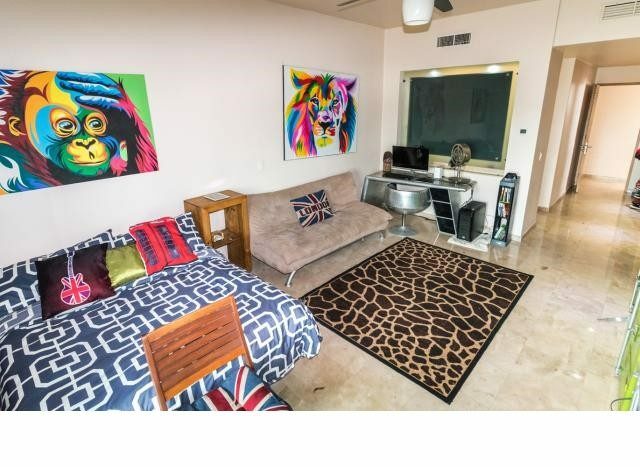 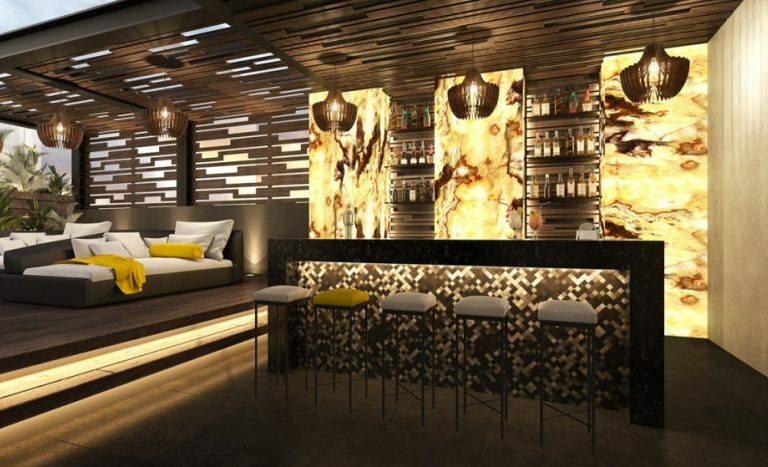 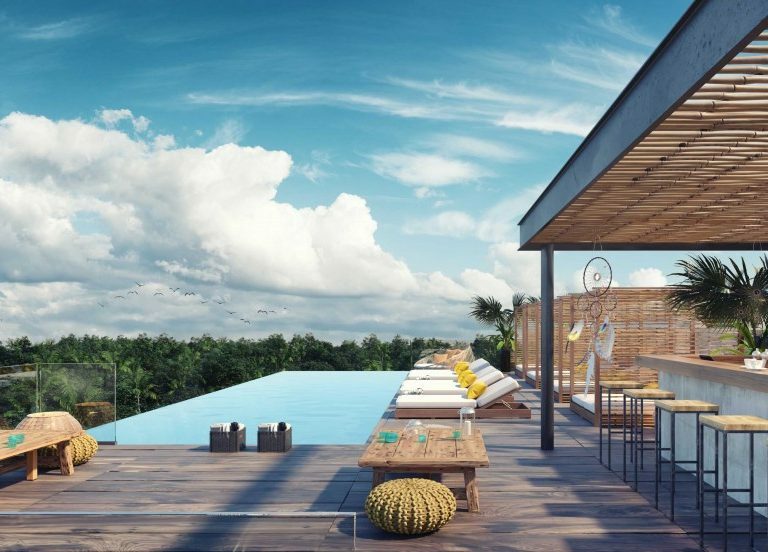 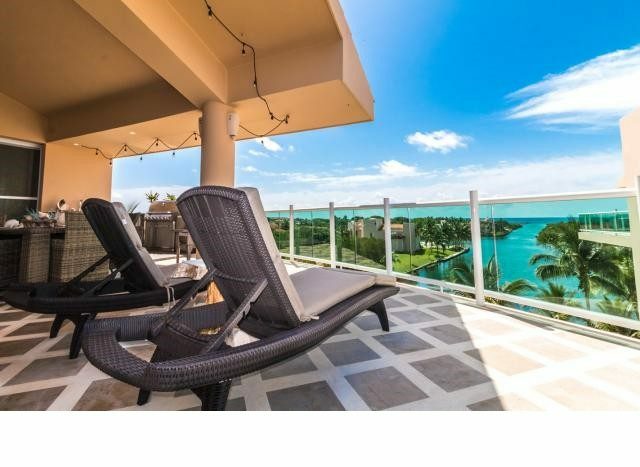 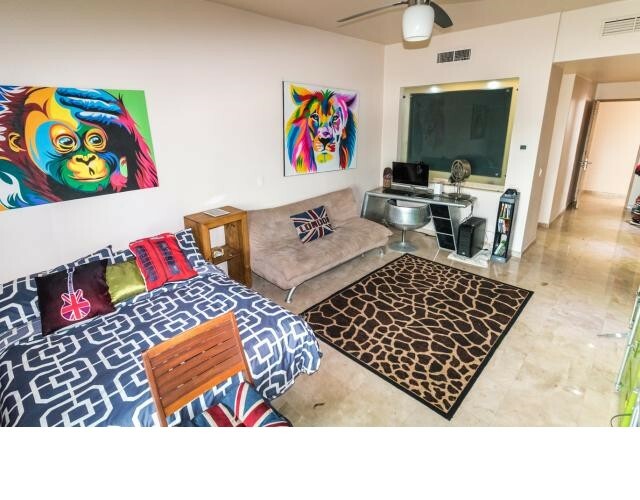 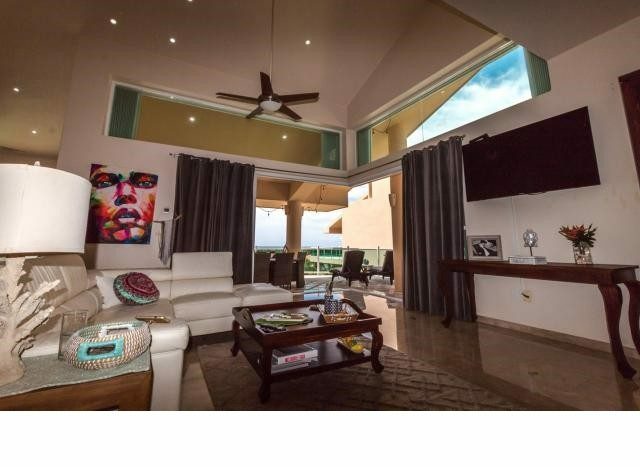 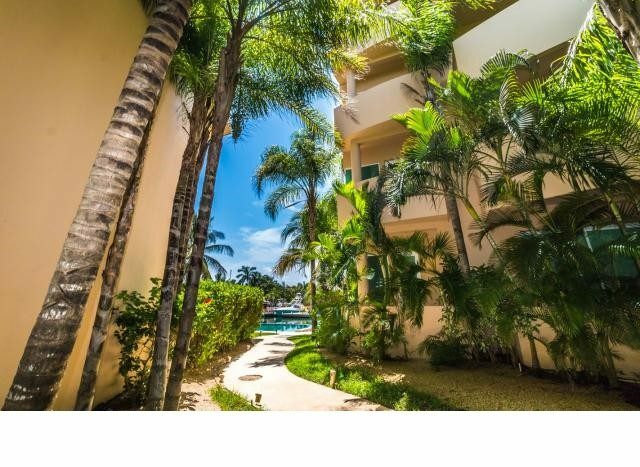 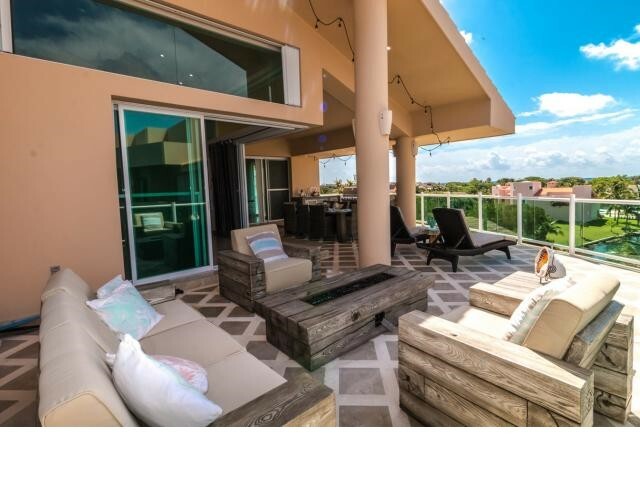 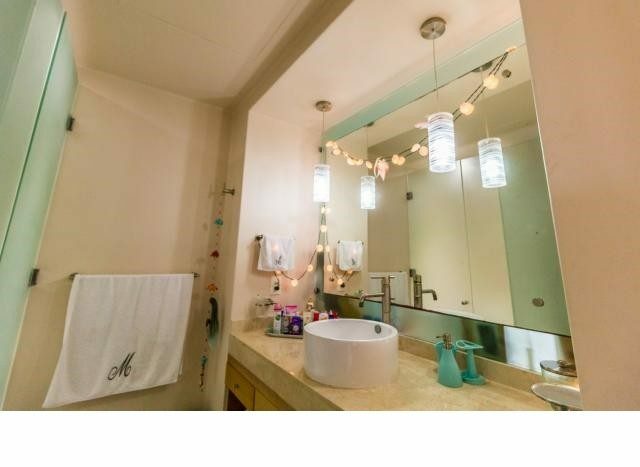 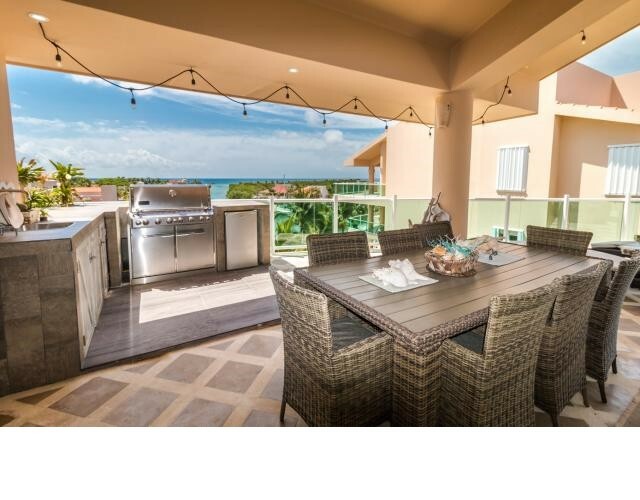 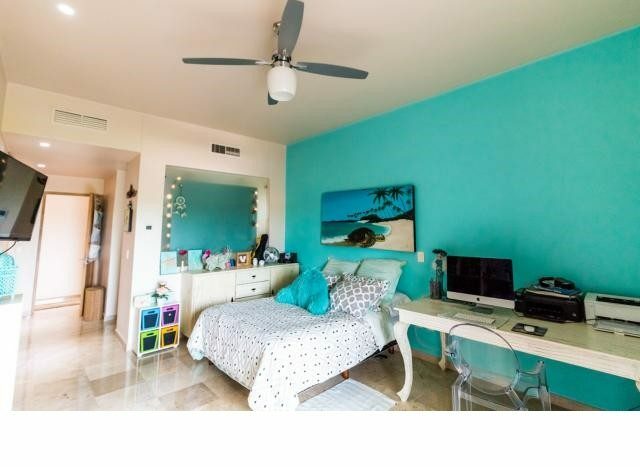 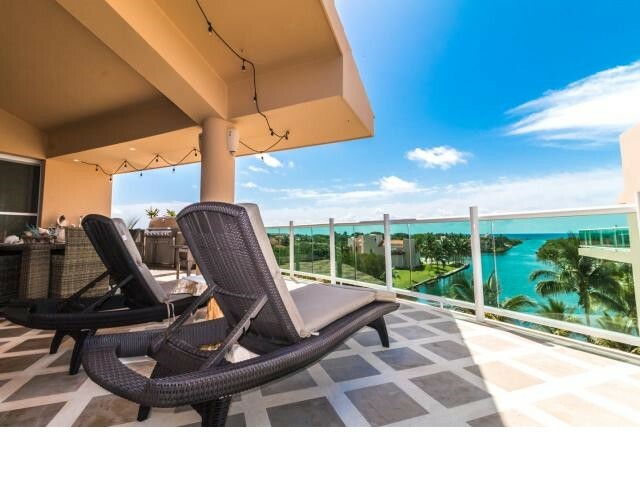 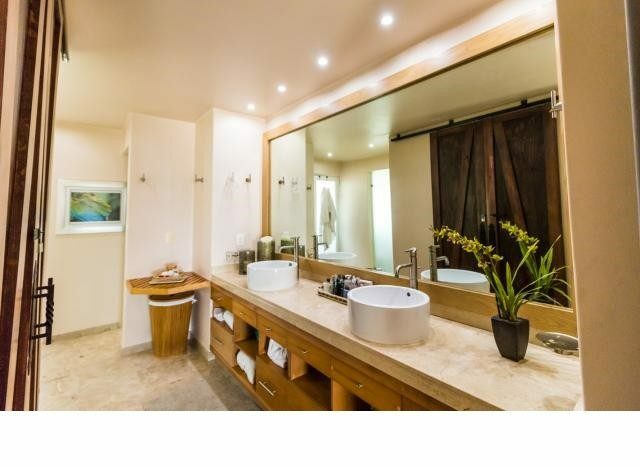 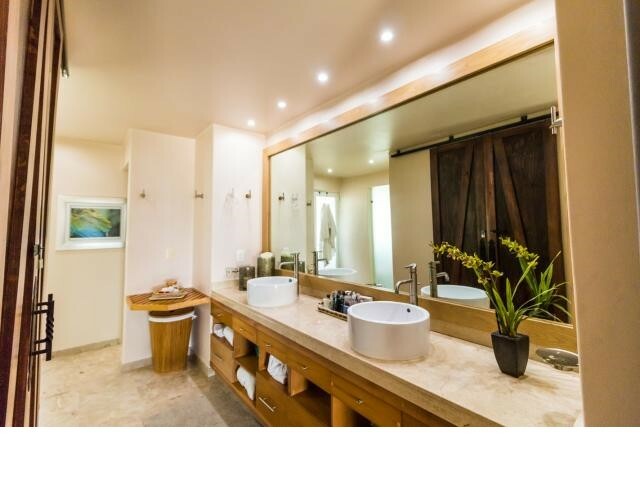 This luxurious penthouse with a terrace that has a stunning views of the Caribbean Sea, master bedroom with panoramic window to enjoy the sunrises, has its wooden closet and bathroom with high-end granite finishes, two guest rooms which are large and well lit each with its own closet and bathroom. 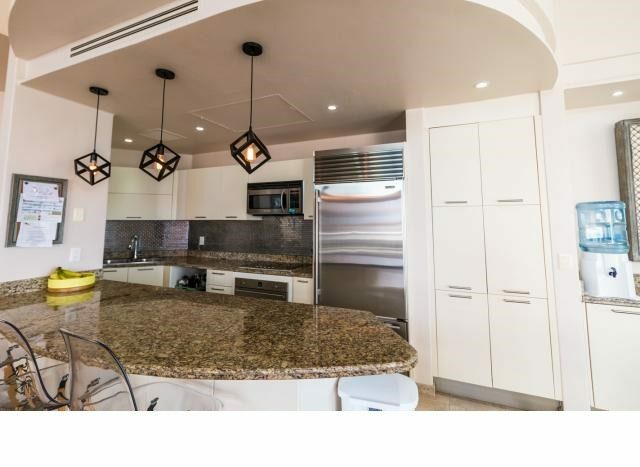 The kitchen is equipped with wood cabinets and high end granite counter tops, spacious living and dining room with enough space to comfortably sit 8 people, plus it has an extra powder room for guests strategically located at the entrance of the penthouse, throughout the complex it has 5 pools for residents plus multiple use palapa and as an extra this penthouse has two parking spaces and one of them is covered. 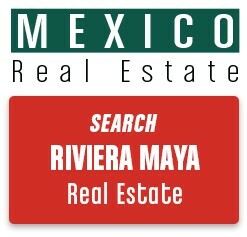 Located in one of the main avenues of Puerto Aventuras, a 5 minute walk from the marina and shopping center, as well as the convenience store, pharmacy and restaurant, plus one of the most private and beautiful beaches of the Riviera Maya where you can enjoy many water activities or just enjoy an afternoon reading a good book and soaking up the Mayan sun.